While the Regulation technically applies only to our audience located in the European Union, we know that privacy and data protection are critical for everyone in our community. As a result, we decided to implement a few changes that will have a positive impact for everyone, regardless of their physical whereabouts. Whether you’re curious about some of the changes that you’ll find throughout the site, or looking for a few best practices to implement in your organization’s marketing, here are 4 areas that played a significant part in our GDPR compliance efforts (you can also find our take on GDPR compliance for databases here). Disclaimer: This information is not legal advice for your company to use in complying with the EU’s data privacy law, the General Data Protection Regulation. Instead, it provides information to help you better understand some of the legal points covered in the GDPR as they relate to websites and marketing. In summary, we insist you consult an attorney for advice on interpreting GDPR requirements or for particular legal advice. In GDPR terminology, data subject is referenced throughout the legislation; the term is defined as “an identified or identifiable natural person.” To make each of the following points easier to share and understand, we’ll demonstrate using a data subject named John. Easy to understand: The GDPR specifically notes that information related to data processing must be in a “concise, transparent, intelligible and easily accessible form, using clear and plain language,” (Article 12). At Mertech, we took this opportunity to go through our policy and remove or replace any details that resembled legal jargon and instead worked to explain things in simple terms. How we protect collected data: In our look at GDPR as it relates to databases, we talked about secure data storage through methods such as anonymization and pseudonymization. But when it comes to your marketing, you also want to be aware of the safety measures in place for receiving and/or transferring data on your website. 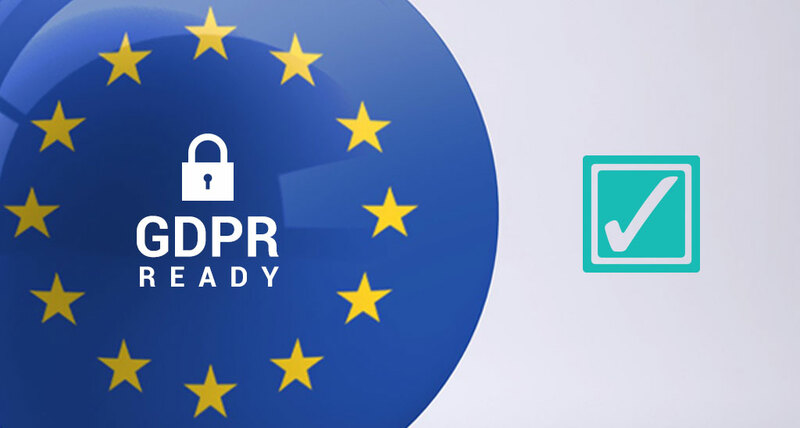 In our case, we checked with our marketing platform (In GDPR terms, they are known as the Data Processor), and verified that they are compliant with the EU-U.S. Privacy Shield Framework, the approved data transfer mechanism covered in Article 45 of the GDPR; as a result we covered this point specifically in our Policy. Bonus tip: Discussing data protection is also a great time for you to assure your website visitors that you will never sell or share their personal information to any third party, assuming that’s a promise your organization makes to the community. Rights for each data subject: Under GDPR, John has the right to request access to the personal data that we have about him. Additionally, he is able to request that we modify or delete his personal data. In our updated Policy, we made it easy for John to find the email and/or physical address where he can reach us for reviewing, correcting, and/or removing his personal information. Make sure that any method of contact you provide in your Policy is one that is checked regularly, and not an unmonitored email address, since the GDPR standard for responding these types of requests is 30 days. Consent: This two-degree category states that our data subject, John, gives consent when he chooses to opt-in, but this is only valid if he is given notice at the time he opts-in (meaning that John was provided with an exact description of what he’s opting into). Performance of a contract: For instance, let’s assume that John is a customer; under GDPR you are allowed to send him a bill regarding his account - no consent necessary. Legitimate interest: This category is the most flexible, but that does not mean you should rely on it as a default to make things easy. That being said, a real scenario where legitimate interest can be used is when John is a customer, and you want to send him information about products related to what he currently has. Learn more about legitimate interest and when you can and cannot rely on it. Legal obligation: Used when processing is necessary for you to comply with the law (not including contractual obligations). Vital interests: Processing the data is necessary to protect the data subject’s life. Public interest task: For the performance of a task tied to public interest or for official functions, and the task has a clear basis in law. Additionally, you must log your lawful basis reasoning for John in your contact records. It may be helpful to look into the options available through your CRM or other contact database for tracking and storing this kind of information, which is where we found our solution. One of the most obvious changes to our website as it relates to GDPR is found in the forms that we use (for downloadable offers, etc). Each form is now complete with a statement that grants permission for Mertech to “store and process” the information of the person filling it out. And in many cases, you will also find that we offer the option to sign up for a blog subscription or other email list at the same time a visitor is completing a form. The critical part to note here is that per GDPR standards, John must affirmatively opt-in to any options - meaning he needs to click on a check box, because pre-selected check boxes are not compliant. Consent is a significant part of the Regulation, because if our data subject, John, fills out a form on the website, it does not serve as an implicit opt-in to everything that we want to send him. We are approved to reach out to him about the specific request he submitted (such as emailing him the white paper he wanted, or replying to his product question, demo request, etc.) but that’s where communication must cease unless he is a customer who falls under the ‘performance of a contract’ or in some cases ‘legitimate interest’ reasoning for lawful processing. Taking communication consent one step further, the Mertech team launched a campaign to collect updated email preferences from our community. We realized that sometimes people may have a change of opinion about the emails they once signed up for, and although there is a link to update email preferences at the bottom of every email we send, we wanted to make it more obvious to everyone that they have control over their inbox. The effort was relatively simple, using our marketing platform. Every contact in our database - customer or not - was sent an email with a link to a page showcasing all 4 of the email subscription types we offer, where they could select the emails they want to receive (remember, affirmative opt-in!) and save their preferences. If you are interested in running your own campaign to update email preferences, check with your email or marketing platform to see what kind of options they offer. One last note about consent, as it applies to GDPR: it must be just as easy for John to withdraw his consent as it is for him to grant it. Including “unsubscribe” and “update my subscription preferences” links at the bottom of every marketing email is the first step. Have GDPR compliance notes to share? Everyone appreciates new ideas and suggestions! If you are able to offer any insights to the Mertech community based on your own GDPR efforts, please leave a comment below.